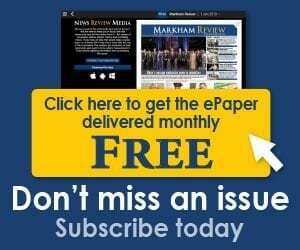 The City of Markham will continue to upgrade rail crossings this fall to include new anti-whistling safety measures meeting Transport Canada Safety requirements. 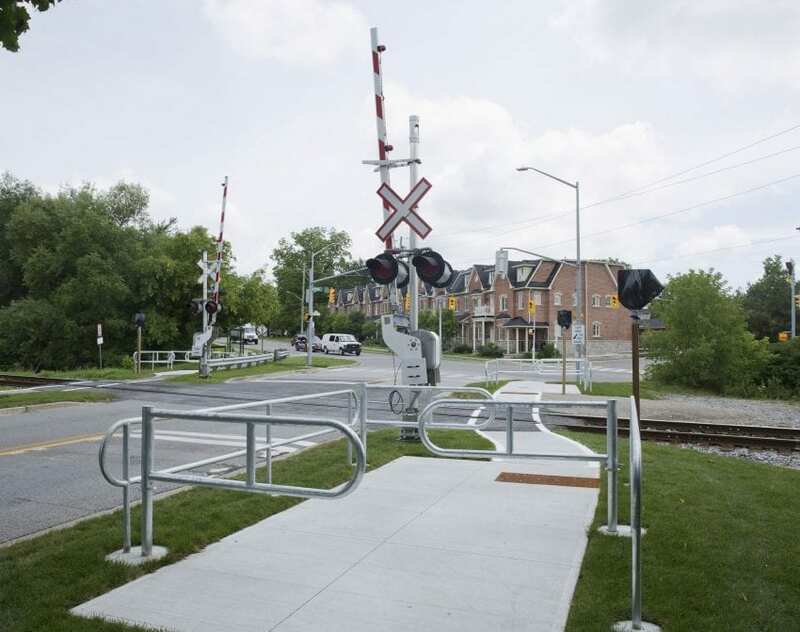 As part of the Whistle Cessation Program, Markham is working with Metrolinx, CN Police and York Region to upgrade 13 existing rail crossings in the city to include new safety features under the new regulations. They include maze barriers or pedestrian warning gates, tactile walking plates for the visually impaired, signs and audible markers. The Canadian Rail Operating Rules require all trains to whistle upon approaching any public rail crossing. Although train whistling is an important measure to keep drivers, cyclists and pedestrians safe, these whistles can be a nuisance to surrounding communities. The fully-accessible public safety systems and features are intended to alert all pedestrians, motorists and cyclists about the changes they’ll begin to experience at Markham crossings. In some locations, a See Tracks? 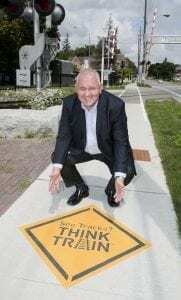 Think Train logo will be located on the sidewalk approaching the crossings. A No Train Whistle at this Crossing sign serves as a reminder that the whistling of the train has been eliminated and to not rely on hearing the whistling of an approaching train. The implementation of anti-whistling measures will be phased over a period of time until all 13 locations are completed. During this time, trains will sound the whistle at some of crossings and not others. Even when Metrolinx approves anti-whistling at the at-grade crossings, the whistling may be required for other CROR requirements, locations or at the train engineer’s sole discretion.